May is a beautiful time of year when all the nature in the normally dry Algarve is in full bloom. A hiking, surf and yoga retreat in Portugal in May to enjoy and connect with nature, to learn about mind and body and to work on true inner transformation. Come join a week of fine balance between activity and relaxation. During the week there will yoga and meditation classes and during the day you will either go for a hike through the national park, go for a surf or do stand up paddle. You will have full access to SPA facilities like sauna, steam bath, warmed indoor and outdoor swimming pool. A yoga retreat in Portugal Algarve in May that you rejuvenate and revitalize mind body and soul. Discover and experience all the nature and elements this area has to offer. There will be top quality yoga classes taught by Michaël Bijker who will guide you through deep relaxations, enlightening theory classes about the working of mind and body, and practical explanations for daily living. May is a great month to enjoy some of the most beautiful beaches of Europe. A surf, SUP, hiking and yoga retreat in May to develop health, happiness and inner transformation to let your heart and soul flower. 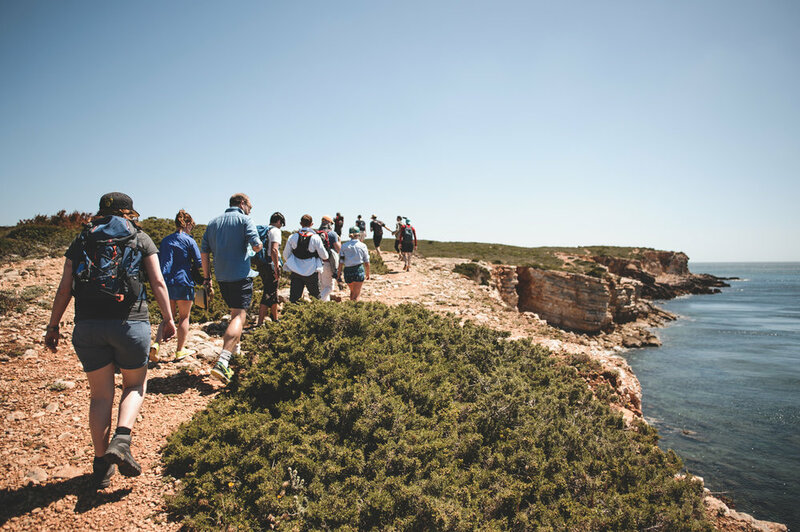 The hiking, surf and yoga retreat in May is an active and relaxing retreat in which you will have a lot of time to relax and connect to nature. May is a fantastic month to do this; the beaches are still calm, the flowers are in full bloom and the sun is shining! During this May yoga retreat in Portugal you will be able to develop a relaxed, content and happy state of being. Become more conscious, and learn to flow with Life. Develop the ability to tap into the power of your mind and heart and to take care of mind and body. Integrate mindfulness in all your daily life and learn the tools for living a healthy and happy life.